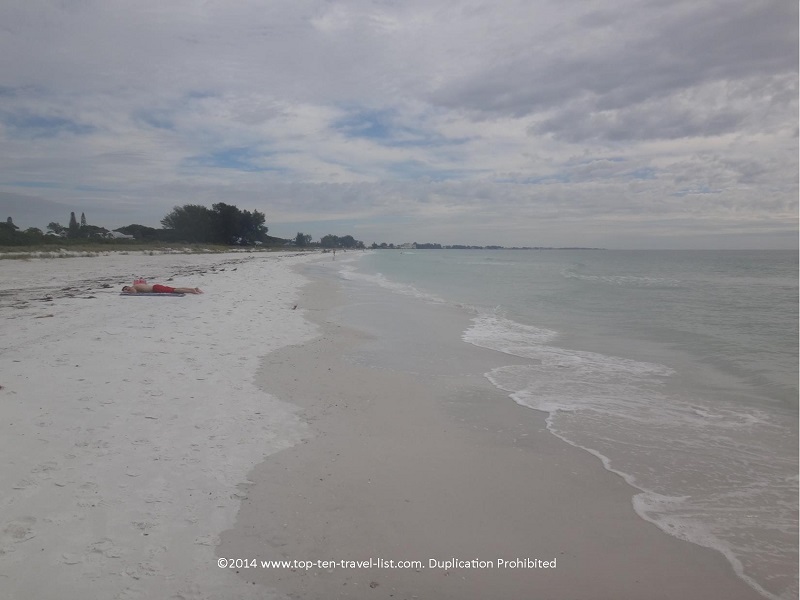 Fall in Florida: Visiting Beautiful Anna Maria Island - Top Ten Travel Blog | Our experiences traveling throughout the US. While most areas around the county are starting to see temperatures that dip into the lower 40s and 50s (and several even anticipating the first (or second!) snow storm of the season), the central Florida Gulf Coast is still averaging temperatures in the lower -mid 70’s. 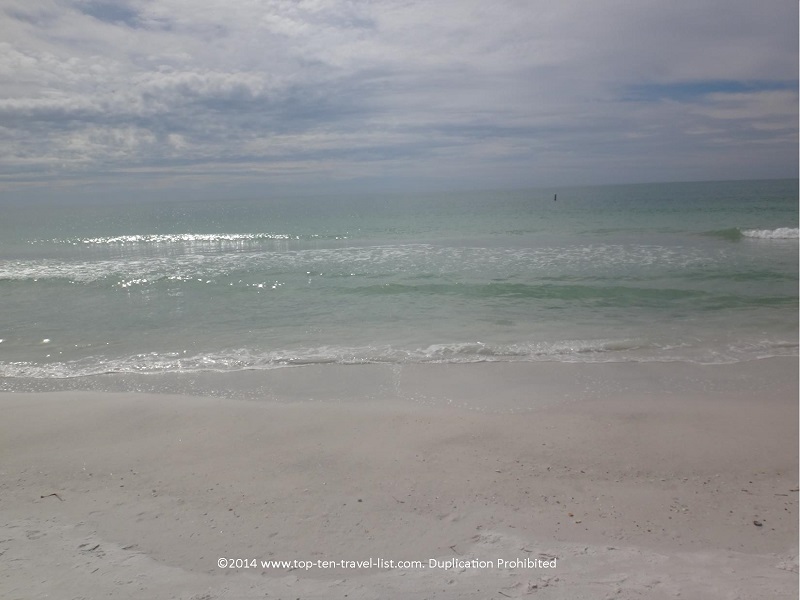 Beautiful Anna Maria Island, located 45 minutes south of St. Petersburg, is home to 6 gorgeous, sandy white beaches. 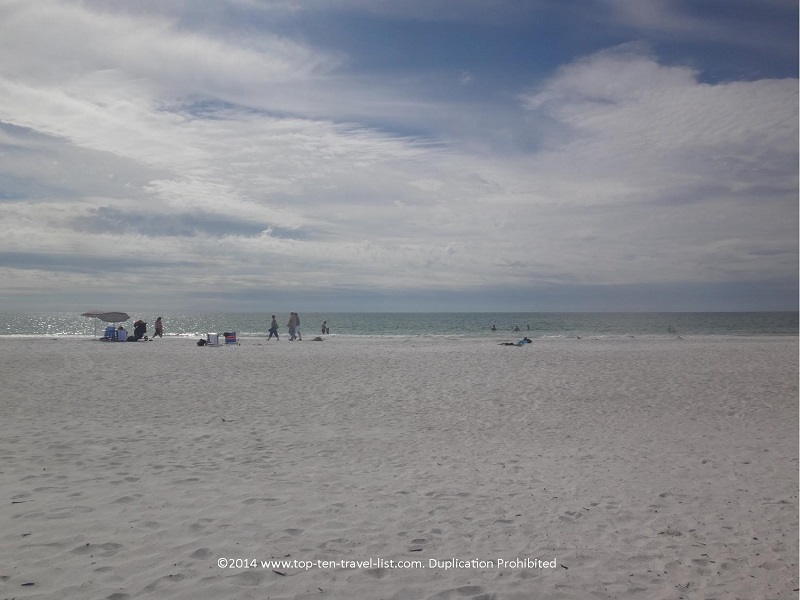 This laid-back, charming beach town offers a quiet atmosphere, far away from the congestion of the Tampa metro area. 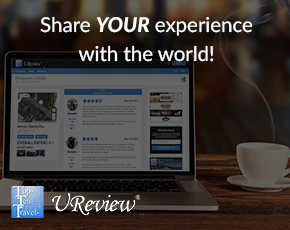 Instead of of big businesses, hotel chains, chain restaurants, and endless apartment complexes, you will find charming local cafes, beach side cottages, and beautiful, colorful waterfront homes. 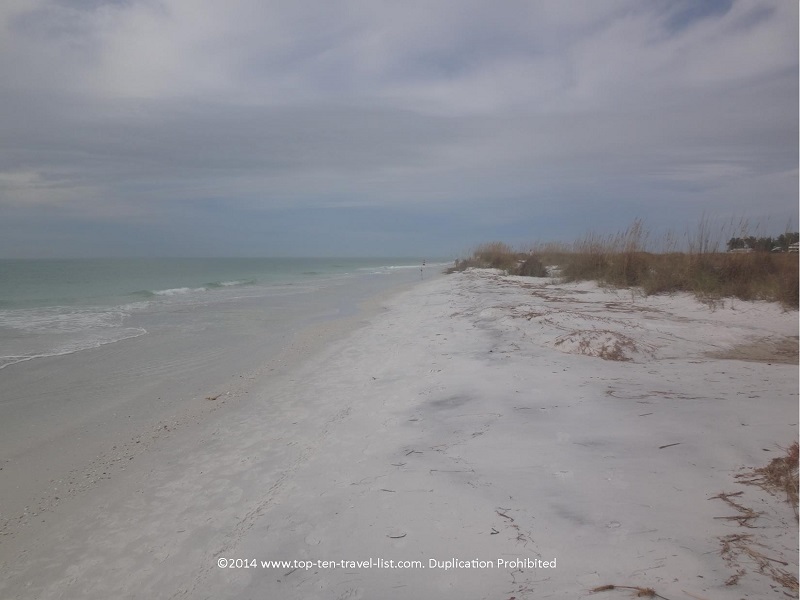 Anna Maria offers a nice change of pace from some of the more commercial beach areas. 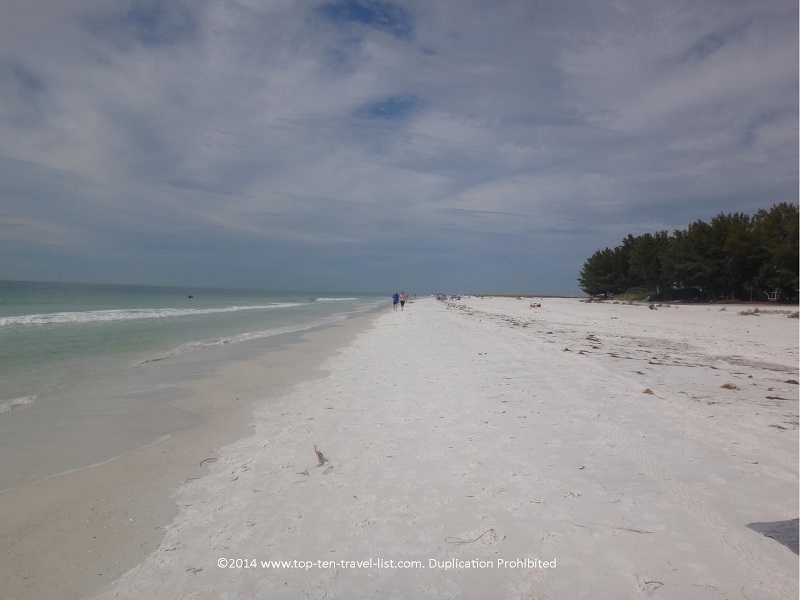 Anna Maria Island beach is a quiet option, a gorgeous beach with beautiful soft, white sand and relaxing views. 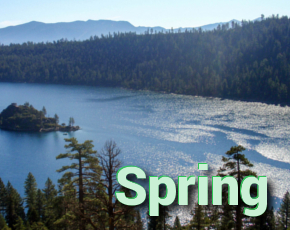 It’s the perfect place to visit during the cooler fall months. Although the waters will be too cold for swimming, the temperature outside is perfect for taking a nap, relaxing with a good book, taking a romantic stroll, or enjoying a gorgeous Gulf coast sunset. 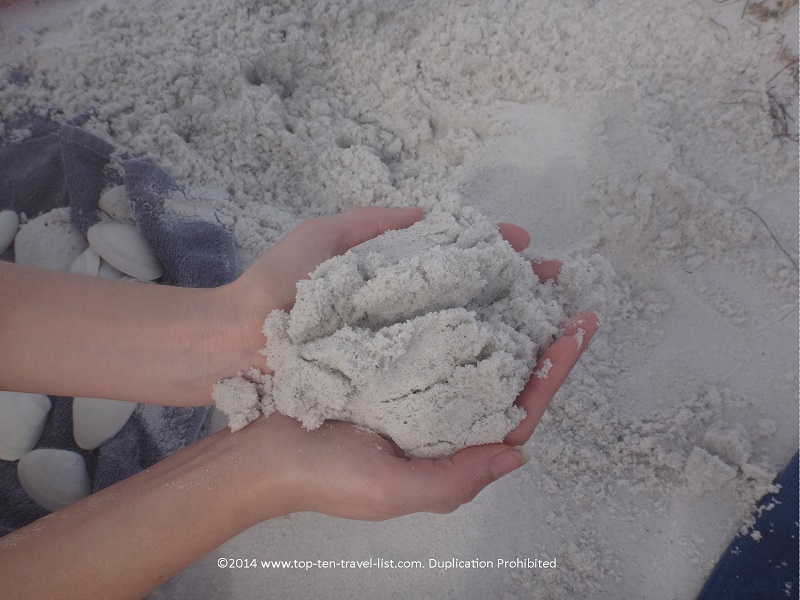 …And beautiful soft, white sand! In my opinion, the summer months in Florida are not the best time to visit the beaches. Oftentimes, your entire visit consists of trying to find enough shade, repeatedly slathering yourself with sunscreen, and finally jumping in the water because you are completely overheated (only to find that the bath temperature water does absolutely nothing to cool you down). Add in noisy crowds and impossible to find parking and you have yourself a less than perfect day out. 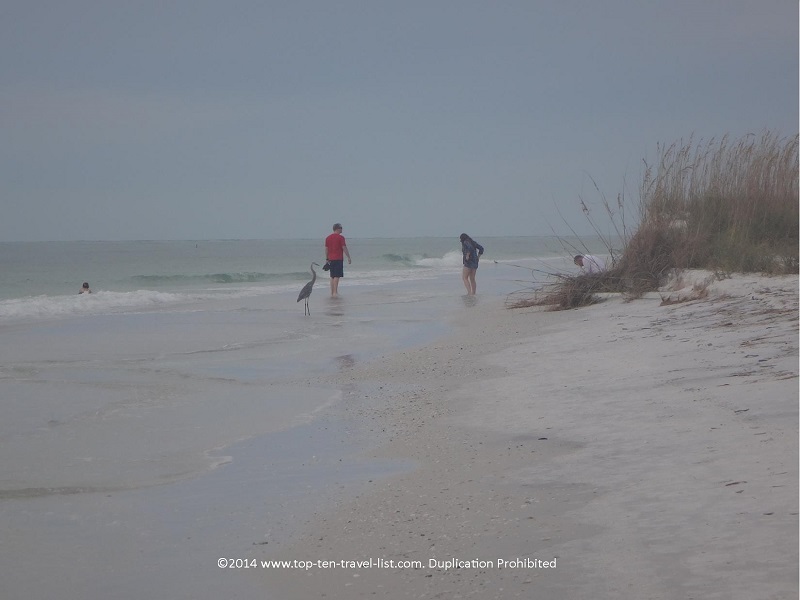 Fall, on the other hand, offers the opportunity to visit the beach sans the heavy crowds, with the added bonus of cooler, enjoyable temperatures. We were able to spread out and relax on the beach with barely another person in sight. In addition, taking a long stroll and finding unique seashells was fantastic on a day like this! 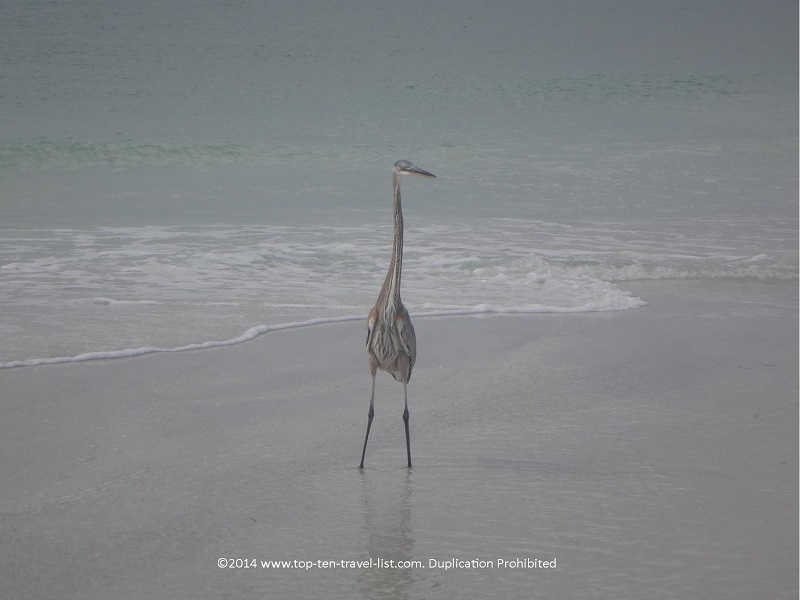 If you are looking for a bit of relaxation this fall season, look no further than Anna Maria Island. Don’t expect to find a lot of chains and beachfront attractions here – just a relaxing, clean beach with plenty of local dining gems to choose amongst. 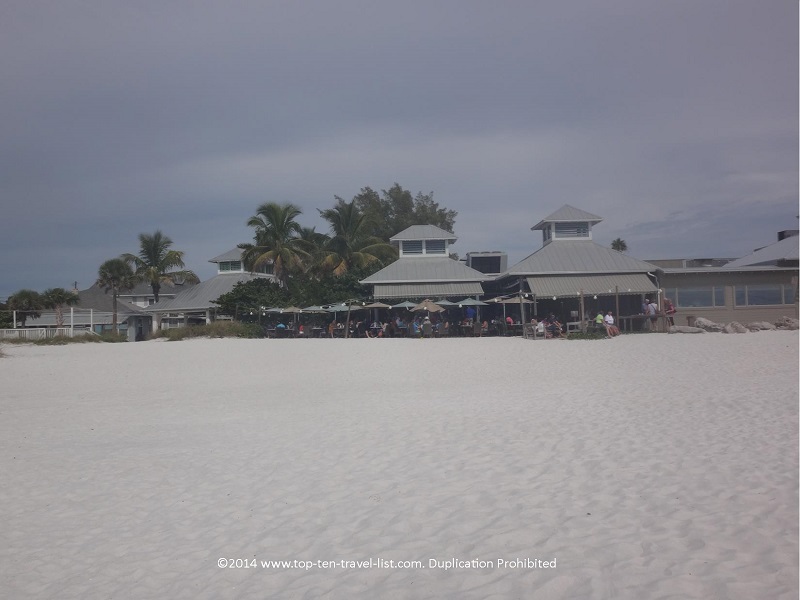 The Sandbar is one option, a beachfront restaurant offering spectacular views at sunset. 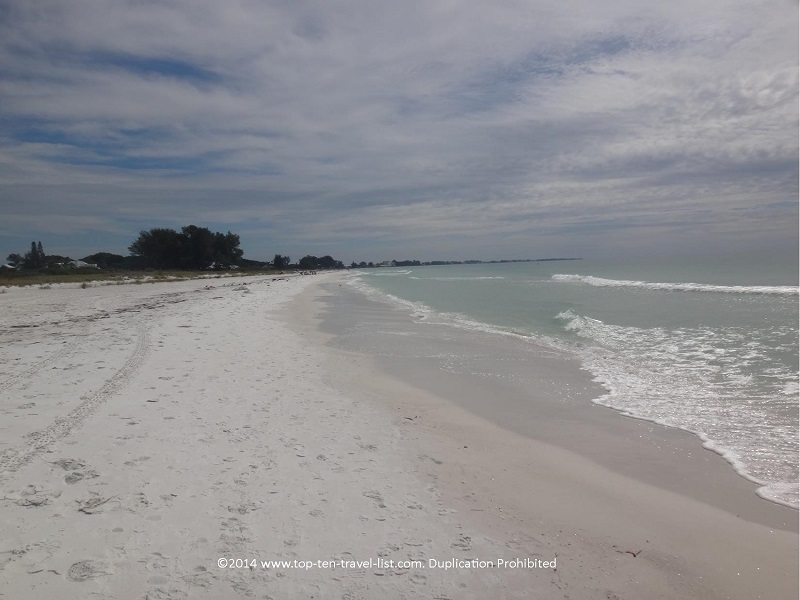 Anna Maria Island Beach is located at the corner of Spring Ave and Gulf Drive. Free parking is available. 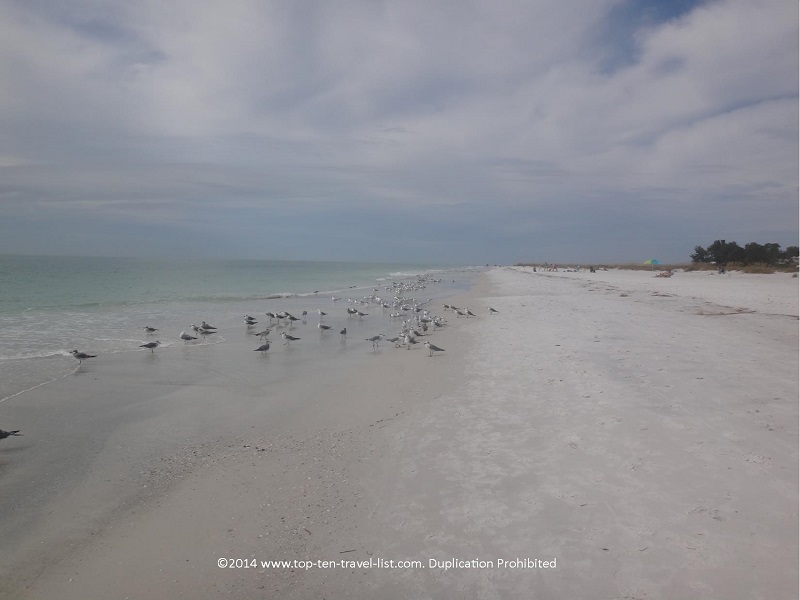 Be aware that no restrooms, lifeguards, or any other facilities are available at this beach. 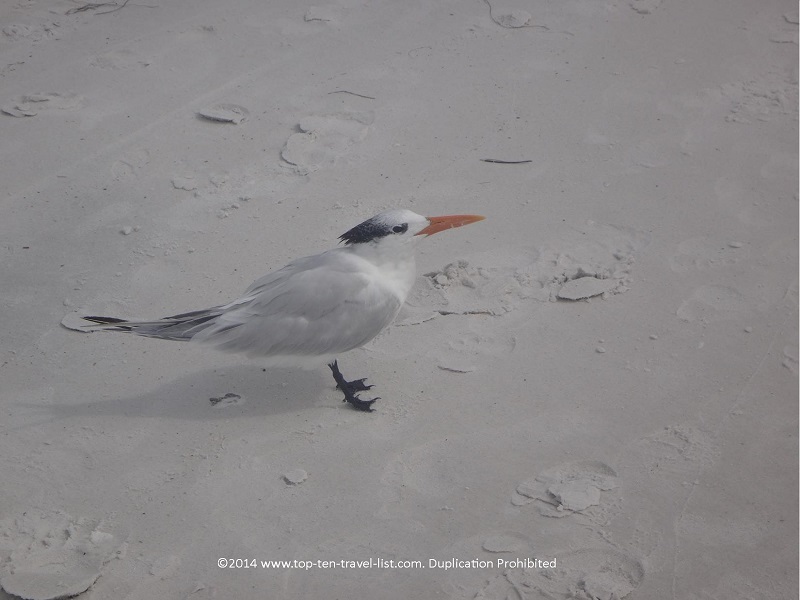 Have you ever visited Anna Maria? 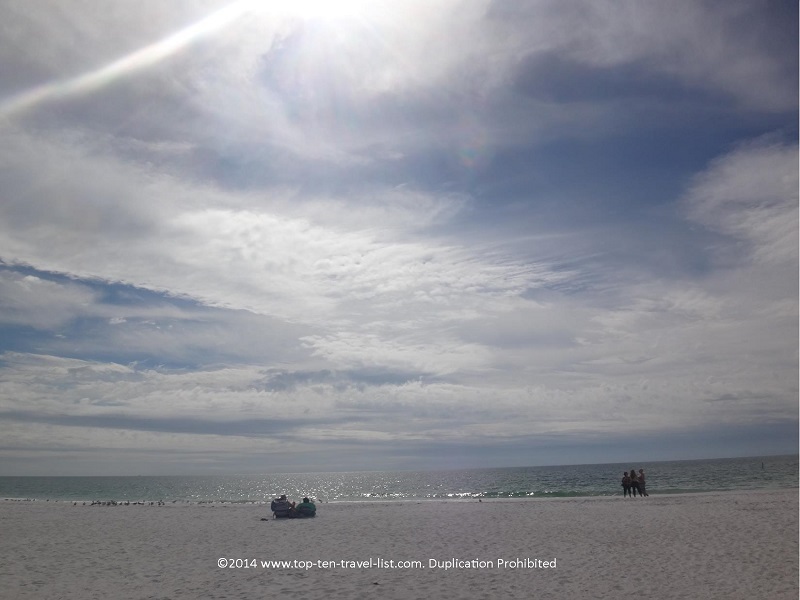 Share your experience at this beach and other Gulf Coast favorites in the comments below.